You are here: Home / Area of Interest Topics / Search for homes is not as easy as you think. Searching Local Real Estate from Suffolk to the Virginia Beach Oceanfront. I’m in the process of looking for a new home and have discovered it’s not as easy as I assumed it would be. Yes, the internet allows me to look for homes anytime of the day or night, and provides me with some search tools that weren’t available twenty years ago, but I’ve learned that finding a website that’s easy to use and actually allows me to search the way I want to is difficult. I’ve used a few different real estate websites. Each one has had some good features as well as some less than desirable ones. In the end, I have to say that Choose a Home Now has been the one that best suits my personal needs. I found it to be much more user friendly and easy to understand than some of the other sites I’ve tried. Not only was the site easy to use, but when I entered my search information for a Virginia Beach property, I actually got a list of properties that fit my requirements, something that didn’t always happen while using some of the other real estate sites. I like that there is no advertising of other local businesses. One of the features that Choose a Home Now has that I didn’t experience when I was searching the other real estate sites is interesting information about each of the individual areas. Even though the towns are closely connected, each one has its own personality and unique attributes. The information provided on the website has helped me determine which towns I’d prefer living in and helped me narrow my search. The towns I’m considering right now include Suffolk, Chesapeake, Virginia Beach, Norffolk. Each one sounds quite nice. More than once I’ve found the methods for searching for home online and without the help of a realtor confusing. Things became even more complicated when I kept getting listings which lacked all the features I wanted from my new property or weren’t even close to my price range. I was unable to figure out if I was doing something wrong, or if the site simply didn’t have any properties that matched my list of requirement so it just provided me with a randomly generated list. 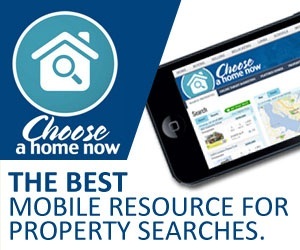 It took me no time at all to figure out how to use Choose a Home Now search requirements and to start getting lists of the homes for sale I was interested in. Not only did this save me a great deal of aggravation, but it also reduced the amount of time I spent looking at various properties. Choose a Home now has a feature I have never seen before. In addition to the normal details about a property, the website also included something called a walkability rating. Basically this is a bit of information letting me know how easy it would be for me to get to things like the grocery store on foot and how accessible the property was. Based on my experiences, the next time someone asks me for advice about looking up property, I’m going to send them to Choose a Home Now.